Don't Stress the Mess . . . Your One Stop Storage Needs! 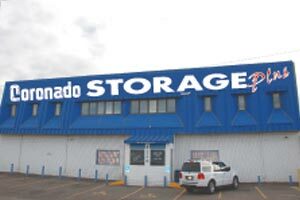 Albuquerque based Coronado Storage Plus is a brand new self-storage facility located in Albuquerque's Northeast Heights. We offer gated entry and exit, moving supplies, courtesy carts and digital surveillance to help you manage your personal and business storage needs. We serve both the Albuquerque, Corrales and Rio Rancho areas. Check out our latest specials for new leases, referals and Albuqueruqe Youth Sports Teams (like AYSO Soccer, YAFL Football and others) - here. Why should you consider Coronado Storage Plus?